An elderly woman is hospitalized at Defendant Prince George's Hospital Center after a motor vehicle accident. She is under the care of Defendant Dimensions Healthcare Corporation, a Maryland corporation that does business in Prince George's County, Maryland. The woman spends 3 weeks at Prince George's Hospital Center. On her second day at the hospital, she is observed having signs of respiratory problems, including restlessness and low oxygen saturation levels. A doctor is notified but makes no changes in her orders. The following day, she is given a diagnosis of decompensated COPD and/or septic shock and is started on an antibiotic course by two of the Defendant doctors. After her condition continues to deteriorate, she is intubated and transferred to the ICU, where she remains for approximately 2 weeks. By the end of her stay in the ICU, her condition has improved substantially. Despite that improvement, she remains on antibiotics. After her discharge, the woman is transferred to Defendant Knollwood Manor, a nursing home. Included in her discharge order is an ongoing prescription for antibiotics. During the course of her admission, her condition deteriorates rapidly. She experiences decreased urinary output, frequent stools, nausea and vomiting, abdominal pain, poor appetite, decrease fluid intake, and confusion. Knollwood Manor transfers the woman to the emergency department of Baltimore Washington Medical Center. She is found to be hypoxic, confused, dehydrated, and has clinical and laboratory findings consistent with sepsis. She dies the following day of urosepsis, acute renal failure, and c-difficile colitis. The woman's daughter files wrongful death and survival action lawsuits against Defendants, alleging that they violated the standard of care by failing to properly monitor the woman, recognize the deteriorations in her condition, and take all appropriate actions to treat her injuries. 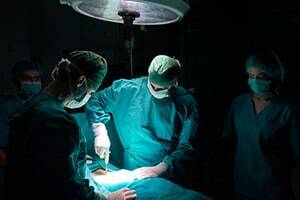 As a result of the Defendants' negligence, the woman suffered severe pain and suffering, incurred medical expenses, and sustained life-ending injuries. Anca Dinescu, M.D. - board certified in Internal Medicine with a subspecialty in Geriatrics and a subspecialty in Hospice and Palliative Medicine. C-diff cases are tough. Take a random walk though these cases and you will find a lot of defense verdicts. Here are a few exceptions. That said, claims against nursing homes in Prince George's County almost invariably settle. It is hard to tell who the target defendant is, and it's hard to image that Genesis (who owns Knollwood Manor) is going to race to the P.G. County courthouse steps to try this case. Interestingly, Plaintiff's expert report says that the victim was likely to live 7 more years. We do not know the woman's age so we don't know if the expert is expanding or contracting her life expectancy based on life tables. Plaintiff is likely going to need to add an infectious disease doctor to her roster. If you have suffered as a result of the negligence of a doctor or nursing home, our law firm can help you. You are entitled to justice and monetary compensation for the needless harm that has been done to you. Miller & Zois has a very long history of results in medical malpractice and nursing home cases in Maryland, earning large verdicts and settlements. Call today to speak to a caring malpractice attorney who wants to help you at 800-553-8082 or get a free online case review. Looking for co-counsel for your malpractice claim? Learn about what Miller & Zois can deliver to you and your client. Take a look at another lawsuit against Genesis. CALL 800-553-8082 or get a free online medical malpractice serious injury and wrongful death claims. Miller & Zois handles medical negligence claims throughout the entire state of Maryland and Washington, D.C.